The process of choosing a new principal for a school can be a daunting task. A lot of the time, considerations such as competency and professionalism only touch the tip of the iceberg when it comes to the myriad of considerations that must be undertaken before deciding on a candidate. A crucial, and perhaps more elusive, factor at play is being able to identify a ‘right fit’ for a school that prides itself on a particular culture and set of values. 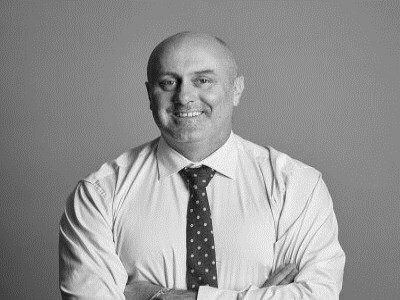 However, for one of Queensland’s most prestigious private schools, that search came to an end on Tuesday with the appointment of Kyle Thompson, who will become head of Scots PGC College in Warwick from Term 4 this year. Thompson was Brisbane Boys' College's (BBC) Deputy Head and Head of Senior School for the last six-and-a-half years, and was the Director of Sport and Activities for the previous four. He replaces Simon Shepherd who departs the College at the end of Term 3. He said the “first and foremost” reason he chose Scots PGC College was the opportunity to “fully immerse” himself in a community. “I have always been attracted by the values of independent schools and both the Uniting Church values and the Country values espoused by SCOTS PGC College resonated very strongly with me,” Thompson told The Educator. Thompson added that he is an educator “committed to the individual development of students and “preparing them to seek and achieve excellence in all they do” whilst they continue to enjoy their journey through school and beyond. He said that during this time he was able to ensure that graduating students had developed a stronger connection to their school, their peers and the staff whilst each student was also able to identify and commence a pathway to their vocation of choice. “The College during this time truly embraced educating and caring for the individual student,” he said. As Thompson prepares to head into his new role at Scots PGC College, Thompson said he was particularly mindful of “upholding and enhancing” the values of SCOTS PGC College and seeing this as “a real strength of who they are”. “I am very conscious of working to become a genuine member of the school community as quickly as possible, and beyond that, an active member of the Warwick community as well,” Thompson said. “I will prioritise getting to know the students, the staff and students’ families and for them to get to know me. An acting principal will be appointed at the commencement of term four, to allow Thompson to appropriately complete his current position.